Register Soon! These specific dates only have 1 remaining spot available. Looking to sharpen their facilitation skills and deepen their insight. We strongly encourage anyone who is using early versions of the curriculum or parts or adaptations of more-recent versions to join us. 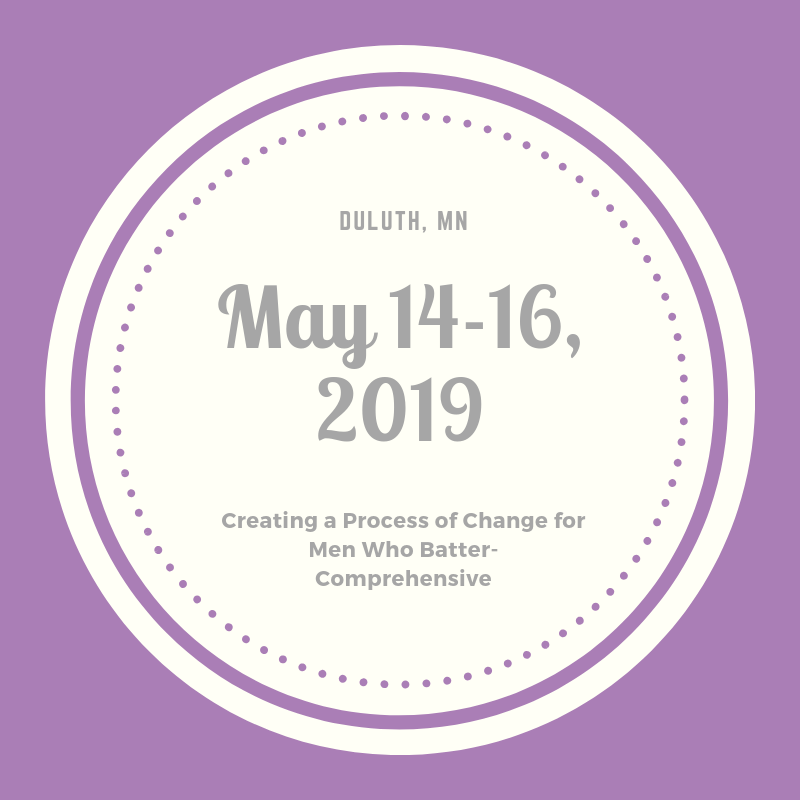 Learning about the curriculum in this context should both deepen your understanding of the curriculum and how best to use it in a social change framework. Materials include articles and other information resources, sample forms, and curriculum supplements. DAIP strongly encourages registered participants to read the following materials prior to the training. Doing so will prepare you for a deeper discussion of our work and how you might adapt it in your own community. Certificates of Completion are provided. 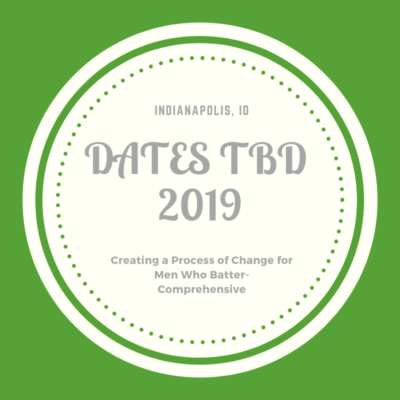 Participants who complete this training are eligible to buy the 2011 edition of Creating a Process of Change for Men Who Batter. Click here to read more about the curriculum. Following the training, participants will be given a code which will allow for the purchase the curriculum at a reduced rate of $495. This code and reduced rate can be used for 3 months after training completion. Certificates of Completion will reflect the number of hours of the training which individuals can use to apply for CEU’s in their state. Click here to learn more about the number of training hours in each DAIP training. By participating in and/or completing any courses, trainings or conferences offered by Domestic Abuse Intervention Programs (DAIP), a participant has completed the requirements so the participant may work with our curriculum as a “facilitator.” Participants may be certified to facilitate groups by their states upon completing the DAIP training and purchasing the curriculum. 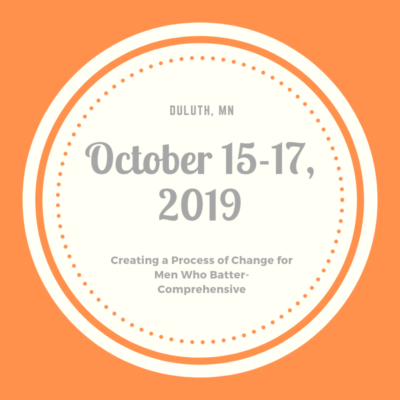 DAIP does not offer “Trainer Certification” courses in/on the Duluth Model or other curriculums. Completion of, or participation in a DAIP training program or conference does not qualify the participant as a trainer or as otherwise certified with respect to any training capacity. 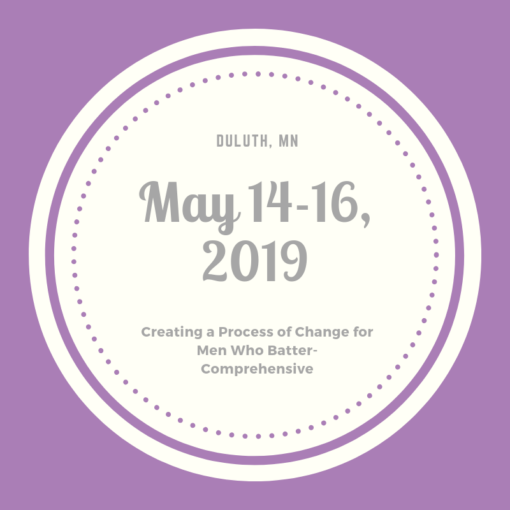 Any and all training and/or conference materials related to the Duluth Model and provided during training, conferences, or as provided online at www.theduluthmodel.org may only be used by participants to facilitate groups locally in accordance with the local classes or groups they provide. All DAIP materials are the sole property of DAIP and these may not be copied, reproduced or otherwise used to train others on our curriculum, our model or work or in connection with any offer of certification on the curriculum, implied or otherwise. Using the materials in this manner is not only a violation of DAIP copyright rights, but may also be a violation of your individual state/local agency rules for certification. Online registration: Add this item to your cart. Phone registration: Call us toll-free at 1-866-417-6111, option 1. Conducted by national and experienced trainers of the Domestic Abuse Intervention Programs. Please DO NOT make any travel arrangements until you receive a confirmation message from DAIP via email. You will receive an online notification of your payment but your confirmation message will be sent in one to three days after your payment has been received. Registration begins at 8:00 AM on May 14th. Training days typically last from 9:00 AM until 4:00 PM. We provide coffee, tea, and snacks. Content builds on itself from session to session, so please arrange accommodations and travel to ensure full participation. Participants who do not complete all sessions may not receive certificates of completion. Dress is casual. Refunds (minus a $75 service charge) will be granted for cancellations at least two weeks before the event. 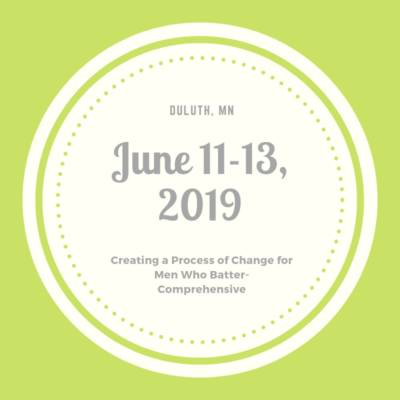 Contact us at 1-866-417-6111, option 1 or training@theduluthmodel.org.